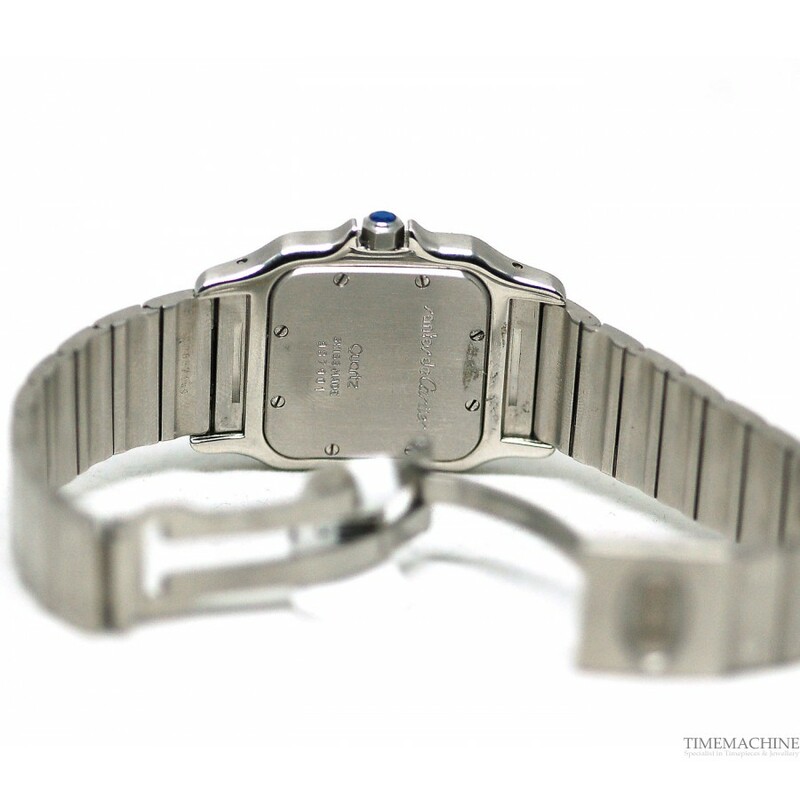 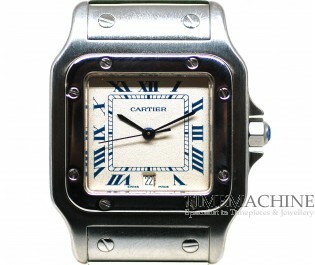 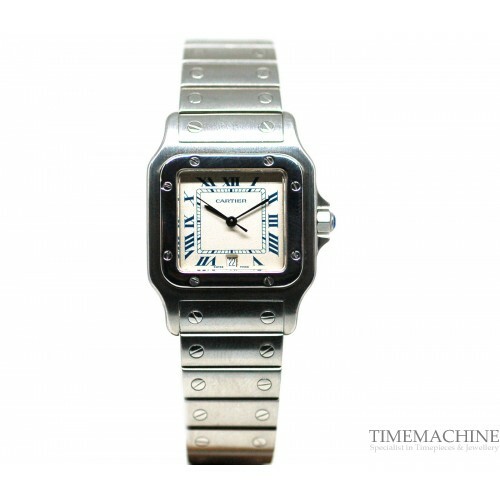 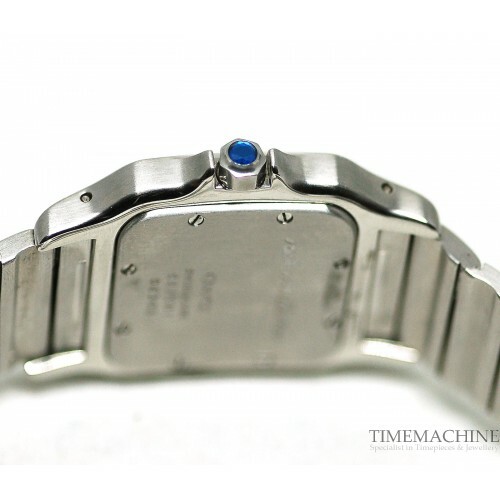 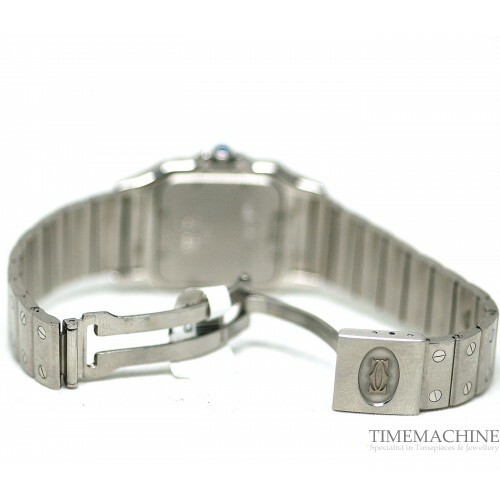 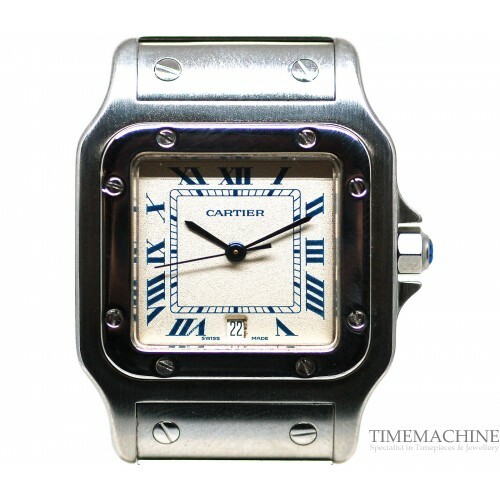 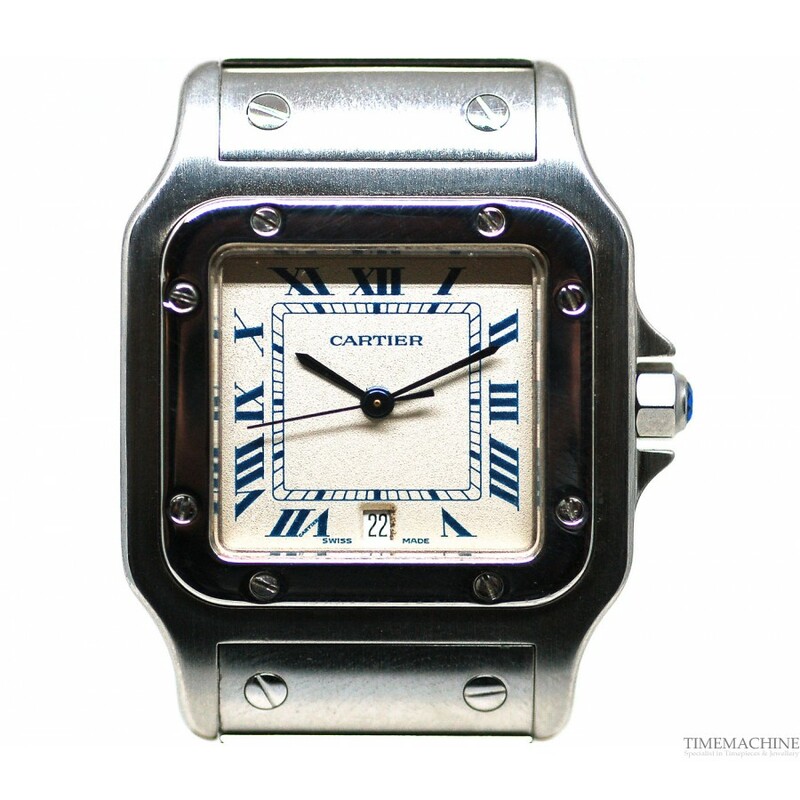 Pre Owned Cartier Santos Réf: 987901 Gents, Mint condition, 29mm case size in stainless steel, white roman dial on a stainless steel bracelet, powered by a quartz movement, full set. 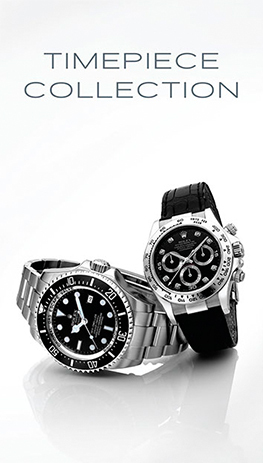 Please quote 2973 in all communications with us regarding this Timepiece. 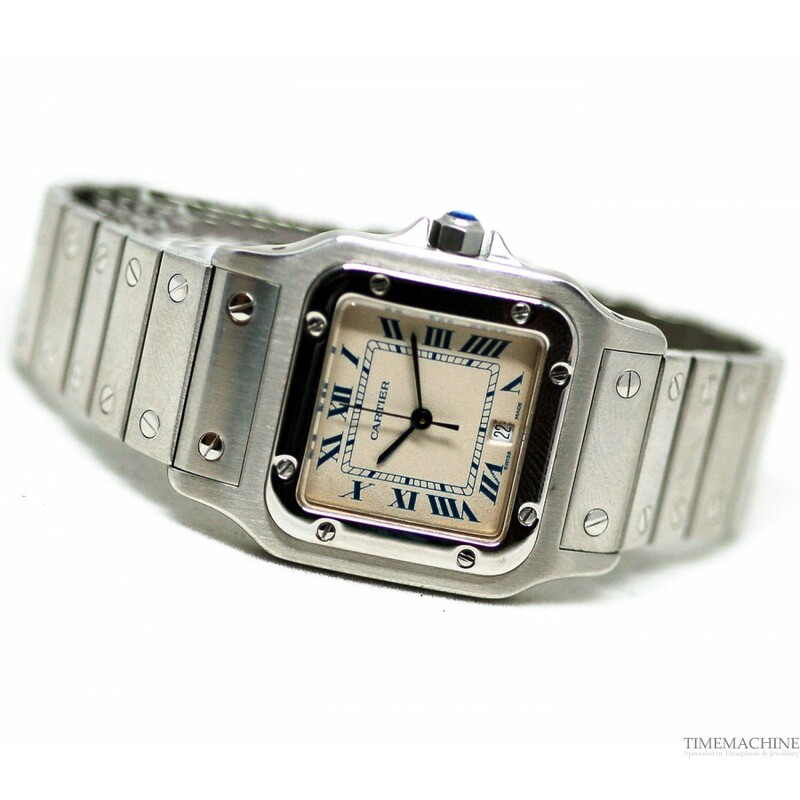 The Cartier Santos impresses with a captivating history: It was the first wrist watch ever created for men as well as the first pilot’s watch to be manufactured by Cartier. Louis Cartier created the Santos aviation watch in 1904 in order to assist his friend – a pilot named Alberto Santos – in easily accessing the time while flying a plane.